FORT JENNINGS – Lois E. Recker, 76, of Fort Jennings died 7:54 a.m., Friday, March 29, 2019 at her residence. She was born April 2, 1942 in Fort Jennings to Edmond and Elvera (Hohenbrink) Wieging. Her father is deceased and her mother survives in Fort Jennings. On March 3, 1962, she married Donald J. Recker and he survives in Fort Jennings. Other survivors include four children: Scott (Deidre) Recker of Arlington, Christopher (Lori) Recker of Perrysburg, Amy Mesker of Fort Jennings and Sarah (Mark) Neidert of Fort Jennings; thirteen grandchildren; Thayne Recker, Amelia Recker, Alivia (Braden) Knight, Anessa (Andrew) Glick, Kaila (Brittany) Recker, Kyle Recker, Jessica Recker, Drew Mesker, Marissa Mesker, Lydia Mesker, Jesse Neidert, Nolan (Katie) Neidert, and Breanna Neidert; three great-grandchildren; five sisters: Inez Wieging of Chandler, AZ, Karen (Phil) Meseroll of Leesburg, FL, Ginger (Steve) Shilling of Cincinnati, Joy (Tim) Martin of Manton, MI and Jill (Ron) Osting of Fort Jennings; and two brothers-in-law: Dan (Kay) Recker of Fort Jennings and David (Jan) Recker of Ottawa. Lois was a homemaker and retired from Ironwood Designs of Delphos. She loved to travel to Alaska, Montana, Colorado, Utah and Wyoming. 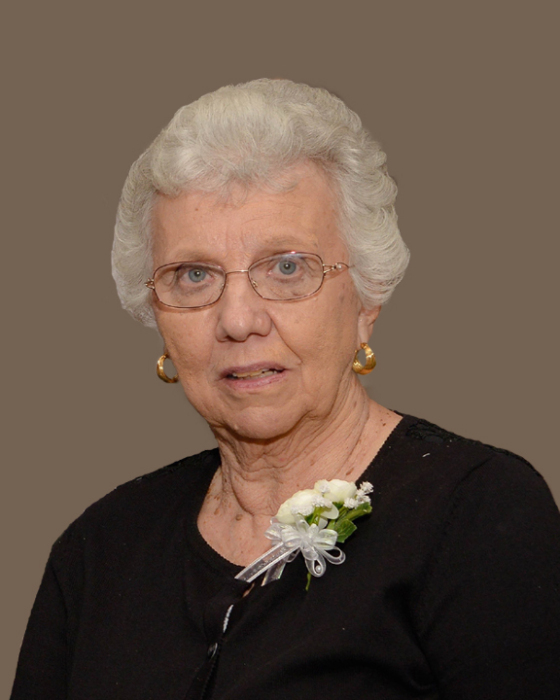 She enjoyed Bluegrass music and attending sporting events for her grandchildren. Lois was a member of St. Joseph Catholic Church, Fort Jennings. A Funeral Mass will begin 10:30 a.m. Monday, April 1, 2019 at St Joseph Catholic Church, Fort Jennings with Fr. Charles Obinwa officiating. Burial will follow in the church cemetery. Visitation will be from 2-8 p.m., Sunday at LOVE-HEITMEYER FUNERAL HOME, Jackson Township (on the corner of St. Rts. 224 and 634). Scripture service will begin at 1:45 p.m., Sunday at the funeral home. Memorial donations may be given to the Fort Jennings Park or to the Community Health Professionals Home Care and Hospice.